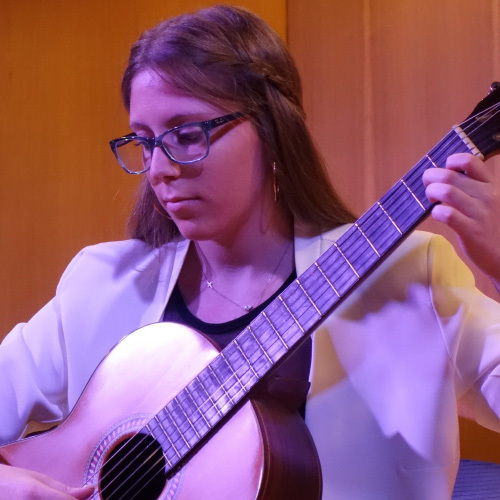 She was born in 1999 and started studying classical guitar at the age of 9. She studies classical guitar and Harmony of Music with Christina Veroniki at the National Conservatory of Peristeri, Athens. She is a student of radio therapy in her second year at the University of West Attika, Athens.